Congratulations to all those communities who have participated in this community-driven survey. This is a great example of grass-roots democracy. 38 Limestone Coast communities road surveyed now! An average of 95% of people in these communities have said YES to being Industrial Gasfield and Invasive Mining Free communities. 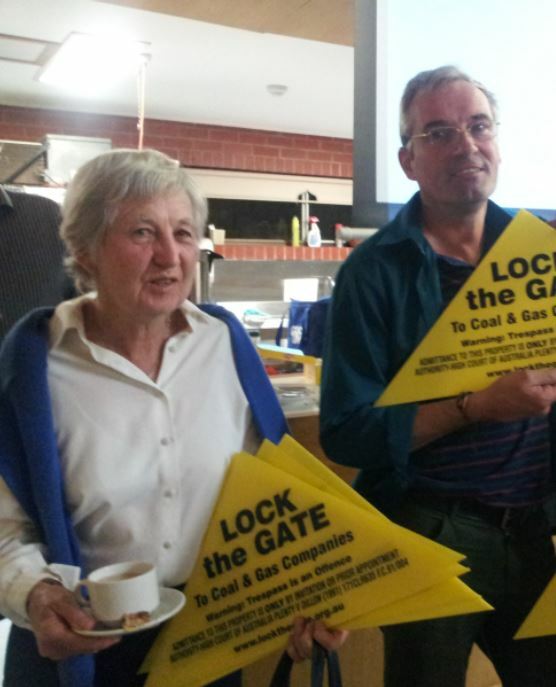 Declaring communities Gasfield Free is just the beginning. The reality is, we still have a number of obstacles to overcome. 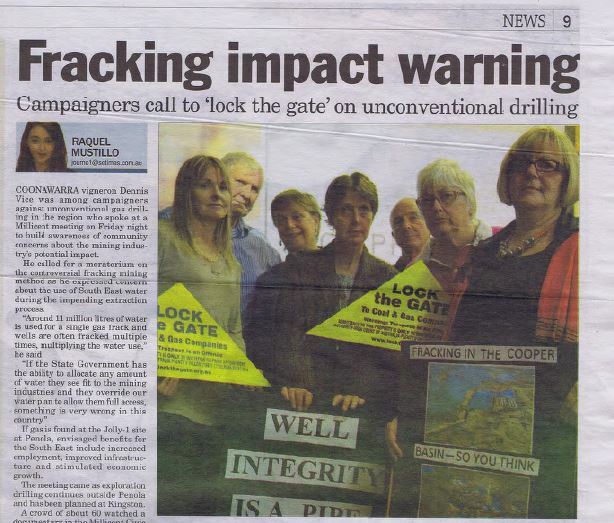 Many of the politicians seem determined to expand unconventional gasfields here. Our verdant, productive region is in danger. The only option we have now is to grow a strong citizens’ grass roots campaign to put pressure on decision makers. The key to building a social movement is staying connected. We hope you will choose to stay on our email list to receive occasional campaign updates. 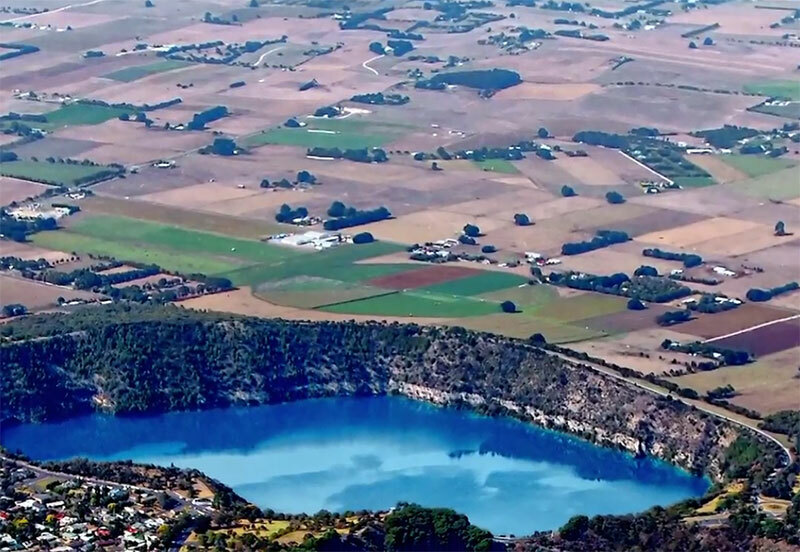 Limestone Coast Video and Petition available!! Special thanks to all the participants who helped make these three films possible. 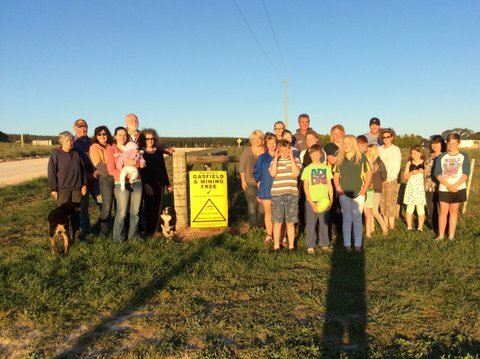 http://www.protectlimestonecoast.org.au/wp-content/uploads/2016/05/LCPAVideo.jpg 552 800 LC Updates http://www.protectlimestonecoast.org.au/wp-content/uploads/2018/02/Logo-1.jpg LC Updates2016-06-01 19:51:462016-06-15 03:19:26Limestone Coast Video and Petition available!! Communities have begun to stand up – and are Locking The Gate in the hundreds! 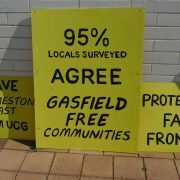 Through a comprehensive and truly democratic survey process, communities are declaring themselves ‘Gasfield Free’. Local roads throughout the Limestone Coast are now displaying “Gasfield Free” road signs sending a clear message of “Lock the Gate”, “Lock the Road” & ”Protect the Region” from industrial gasfield activities. Communities simply do not want this in their backyard. Faced with the extraordinary capture of our governments by the mining industry, the region is witnessing a historic alliance of our local councils, mayors, farmers, conservationists, lawyers, doctors, teachers, parents, students and retirees who are saying no and locking their gates. Together, they are saying it’s time to protect existing agricultural industries, our land, water and health from the destructive force of the proposed open cut mining and gasfield projects in the Limestone Coast. Local communities who are locking their gate, locking their road and protecting their region are the building blocks of a strong community campaign. Knowing what is at stake, the “Lock the Gate” strategy is providing pathways for more people to join in the movement and is now spreading across the country and the world, inspiring communities everywhere. 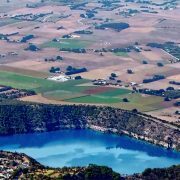 The District Council of Robe was the first council in the Limestone Coast to call on our State Government to halt unconventional gas mining in our region and since then all seven local councils have banded together to ask the State Government for a moratorium on unconventional gas mining, buffer zones and landholder approval prior to mining. So it is only appropriate that communities in the District Council of Robe will be the first to present their “Gasfield Free” declarations to the Mayor of Robe at a ceremony on Saturday 11th October. All are welcome to this historic event.